Couchiching First Nation is located East of Fort Frances, Ontario on beautiful Rainy Lake. The Couchiching First Nation Band administers 13 programs and departments throughout the community, ranging from child care services, to education and recreation. In 2014, the Rainy River District suffered the worst flooding in years, caused by a particularly long winter combined with heavy spring rains. As a result, lakeshore properties in Couchiching First Nation experienced significant damage. SCE was retained to assist the First Nation in a two-part project. 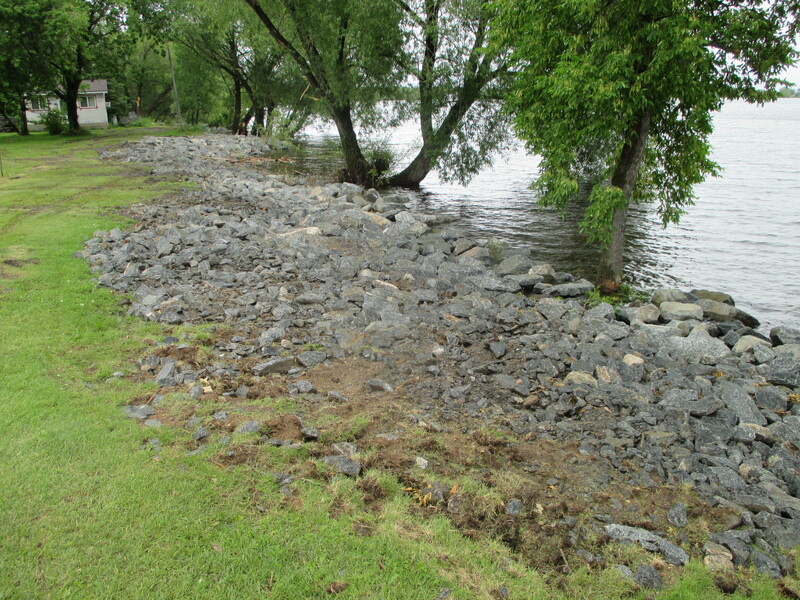 The first part was to assess the shoreline and provide and implement a plan to ensure that the extent of erosion that was experienced during the flood does not reoccur, by providing protection at vulnerable locations. The second part of the project involved inspecting flood-damaged homes and structures, creating plans to remediate the flood damage, procuring contractors to complete the repairs, and cooperating with INAC to acquire government funding to offset the project costs.